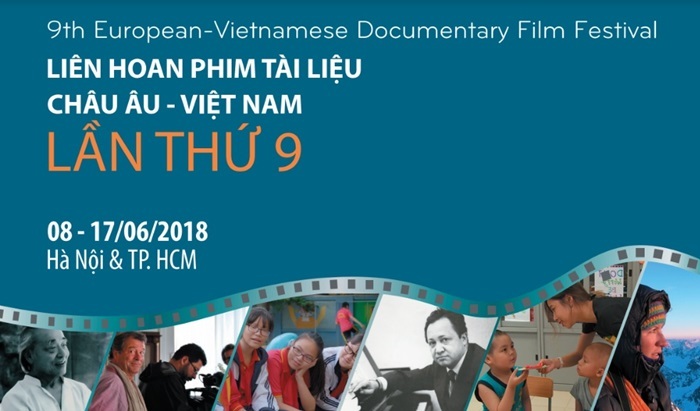 The European Union National Institutes for Culture (EUNIC) and the National Documentary and Scientific Film Studio (DSF) proudly present the 9th European-Vietnamese Documentary Film Festival. The festival will take place from 08-17 Jun 2018 in Hanoi and HCMC. The annual film festival returns for its 9th edition this year. With France being current president of EUNIC Vietnam, the delegation of Wallonia-Brussels (Belgium) in Vietnam is the coordinator of the event, together with DSF Vietnam. Participating in this year’s festival are outstanding productions from 11 countries (France, Wallonia-Brussels (Belgium), Germany, Spain, Sweden, Switzerland, Austria, Denmark, Czech Republic, UK and Israel) and 15 from Vietnam. This is one of the special events promoting cultural exchange between Vietnam and other countries. Through these films, the audience will have the chance to get to know the cultures, people, and communities in Vietnam and other countries, to analyze the social contexts we’re living in, our relations to one another, and explore different territories and contemporary issues. 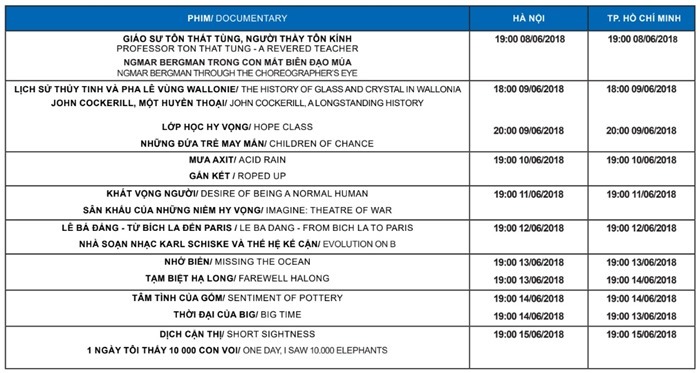 Each screening will feature one Vietnamese and one international films. Documentaries made by young filmmakers will be screened in the afternoons. A number of film directors will join and participate in discussions with audiences. View the festival’s catalogue here. A Quick Interview with Conductor Kotaro Kimura of "Summer Symphony"